Chhattisgarh High Court Recruitment 2017 – 17 Staff Car Driver Posts :- High Court of Chhattisgarh has released latest notification for filling up 17 posts of Staff Car Driver. Desirous & eligible candidates can apply in prescribed application format on or before 11/10/2017. Educational Qualification: 10th class pass and valid Transport (Commercial) Driving Licence. Application Procedure : Eligible candidates can drop their application in prescribed format along with all essential documents to the Dropbox kept in High Court of Chhattisgarh, Bilaspur, Gate No. 02 on or before 11/10/2017. 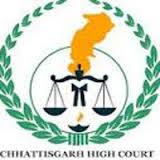 High Court of Chhattisgarh has published latest notification for filling up 33 posts of Stenographer, Assistant & System Assistant. Desirous & eligible candidates can apply in prescribed application format on or before 19/06/2017. Age Limit: 18 to 30 years as on 01/01/2017. For Stenographer (Hindi / English) & Assistant : Graduation from any recognized University with minimum 45% marks. English/ Hindi Stenography & English/ Hindi Typing Examination pass from any recognized Board. Diploma in computer from any recognized institution. For System Assistant : 10th class with ITI Diploma in Computer. Application Procedure : Eligible candidates can send their application in prescribed format along with all essential documents to the Office of District & Session Judge, Mahasamund, High Court of Chhattisgarh, Chhattisgarh, PIN- 493445 on or before 19/06/2017. Subscribe our free job alert mail for Chhattisgarh High Court Recruitment 2017.